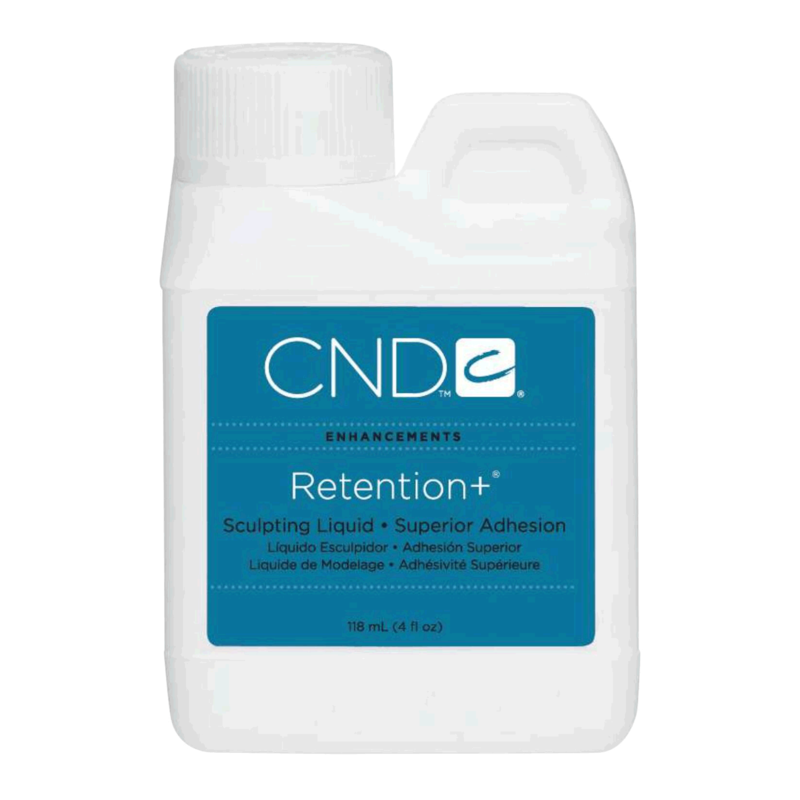 CND Retention+ Sculpting Liquid creates superior adhesion to the natural nail. This keratin-bonding, cross linking sculpting liquid is great for clients that are prone to lifting. Excllent adhesion that makes primer use optional. • Perform a manicure and ensure that the natural nail is thoroughly cleansed and prepared. • Apply primer if desired. • Sculpt the nail in 3 zones using a medium mix ratio (1.5 parts liquid to 1 part powder). • Shape and refine using a 180-grit file or higher.